Improvements made in 2018 include the plants in the south garden plus the herb garden. 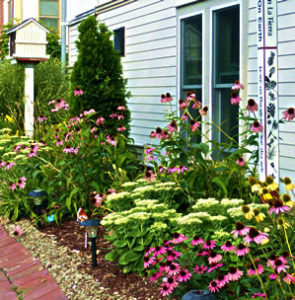 The south garden was designed by Marcy Klein, ECOC newsletter editor and landscape designer, and was planted by managers Freda and Rodney Cook and many Shaw family volunteers. 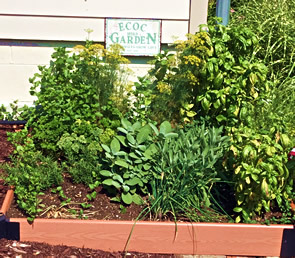 The herb garden, created by manager Kathy Woods, was used and appreciated all summer by many ECOC cooks.